According to Forbes, she's worth $1.9 billion dollars as of 2016 by way of co-founding Forever 21. After moving to the states from South Korea in 1981, Jin Sook Chang and her husband Don worked odd jobs to make ends meet. Three years later, the pair opened up their first clothing store, Fashion 21, a 900-square-foot shop in Los Angeles. The Changs expanded upon first year sales of $700,000 by opening new stores every six months, eventually changing the teen-focused retailer's name to Forever 21. Today their fast-fashion clothing chain, which has been sued more than 50 times for copyright infringement, has $4.4 billion in sales, flat from year ago. It has closed some stores and was late to pay some vendors. But the company denies any financial difficulties, saying its business is solid and noting the planned opening of 67 more stores this year. 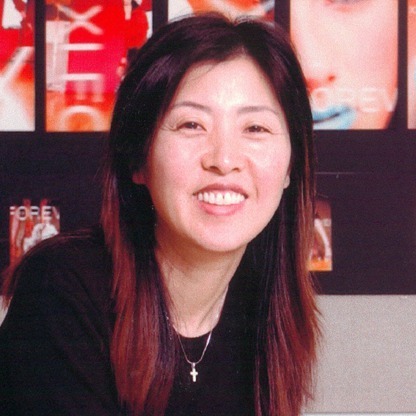 Jin Sook serves as chief merchandising officer while her husband, Don, is CEO. Daughters Esther and Linda work in merchandising. @ 53 she has a few years on Peggy Cherng of Panda Express, but not quite as many on Thai Lee who apparently runs the largest woman-owned business in the U.S (by sales). I'd be fine with just $100 million?